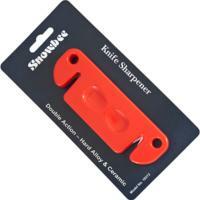 Snowbee Knife Sharpener - reclaim a badly blunted knife in minutes! Snowbee double action Knife Sharpener, with hardened alloy sharpening plates one end, and ceramic the other. Rugged moulded construction, with finger 'grips'. The hardened alloy can reclaim a badly blunted knife and put a starting edge on it, while the ceramic plates can be used for fine honing. Snowbee have even thought to give the Knife Sharpener pre-drilled holes so it can be screwed to a bench. 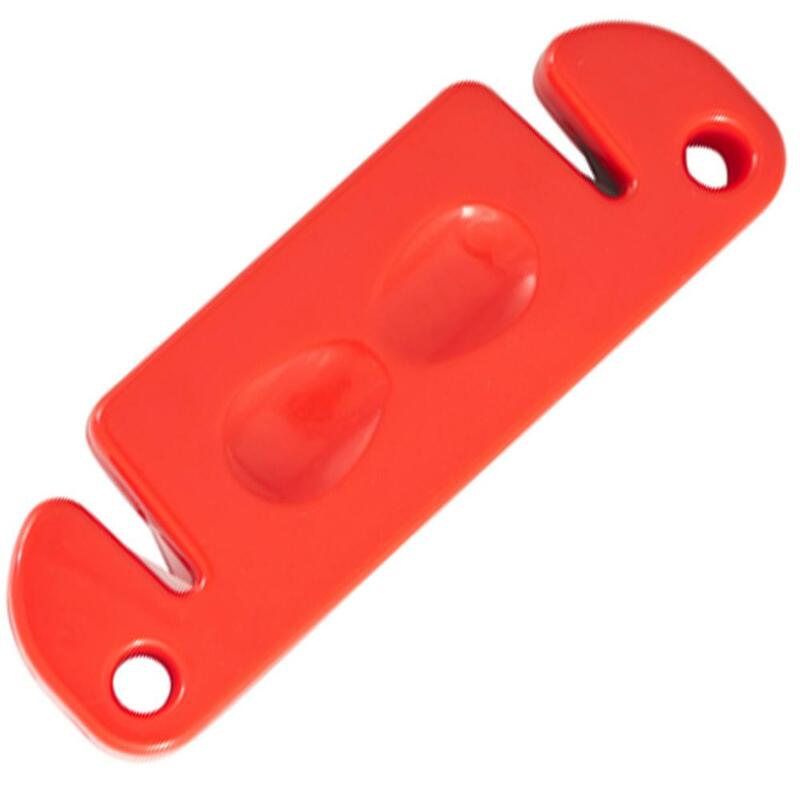 Snowbee Knife Sharpener part of the Snowbee selection of Kitchinalia to help you prep your catch of which includes Hot Smokers, Filleting Knives and Boards. Appears to be very lightly nade. Not used yet but looks sturdy. Good value,great quality and fast service. Very pleased with this inexpensive sharpener, works extremely well.